The Jeep Cherokee is highly rated by consumers, and it’s no wonder as to why — the Jeep Cherokee offers a comfortable interior, comes standard with Apple CarPlay and Android Auto, and has great off-roading ability. 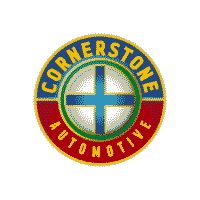 View our inventory of new Jeep Cherokee vehicles online, then visit Cornerstone Auto to test drive a new Cherokee model today! Why Get a New Jeep Cherokee With Us? If you are interested in a new Jeep Cherokee, contact us at Cornerstone Auto, located near Monticello and Anoka, to schedule a test drive. When you’re ready, our finance experts can help you with the next steps!